The Frigid-X series Cabinet Enclosure Cooler for electronic control panels provide a low cost method of both purging and cooling electrical and electronic control panels by using a stainless steel vortex tube to create cold air from ordinary compressed air. Our Cabinet Enclosure Coolers are compact and can be installed in minutes through a standard electrical knockout. Frigid-X Cabinet Panel Coolers NEMA Type 12 (IP-52) For Electronic Control Panels for General use in industrial environments where no direct liquid spray is applied to the unit. 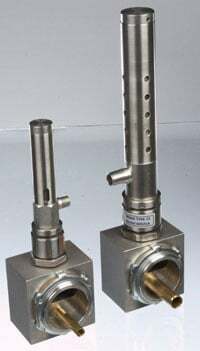 Stainless steel construction to hold up in corrosive environments. Frigid-X Cabinet Panel Coolers NEMA Type 3R (IP-14) For Electronic Control Panels for Outdoor Use. Stainless steel to hold up to rain, snow, humidity and general outdoor use. Frigid-X Panel Coolers NEMA Type 4-4X (IP-66) For Electronic Control Panels – splash resistant, for use in washdown environments as well as outdoor use. Unique patented design * for secure water tight protection. Stainless steel for food service and corrosive environments. Stainless steel also provides for long life in wet environments and for outdoor use. Frigid-X Panel Coolers NEMA Type 4-4X-316L (IP-66) For Electronic Control Panels – all external exposed surfaces are of 316L and ideal for pharmaceutical industry and extreme corrosive environments where 303/304 stainless steel is not adequate. As with the NEMA Type 4-4x units, the cooler is splash resistant, for use in wash down environments as well as outdoor use. Unique patented design* for secure water tight protection. 316L Stainless steel for pharmaceutical grade, food service and extreme corrosive environments. Stainless steel also provides for long life in wet environment. Note: Always question non-approved units used on electrical enclosures to assure that your panels are not damaged by inferior products. Nex Flow™ offers a High Temperature Warning Sticker free with every Frigid-X Panel Cooler purchased for the air conditioning of electrical and electronic control panels. High temperature inside a control panel can be damaging to internal equipment and lead to unplanned shutdown of factory operations. The label provides for an effective warning with a color change indicator to ORANGE and a danger warning with a color change indicator to RED. Color change is reversible so when the temperature problem is corrected, the label can continue to be used indefinitely. While it is a qualitative measurement only, it provides an ideal cautionary monitoring of possible temperature problems within a control panel. ** In 316 environments normally customers will have special filtration systems for such environments already. Cabinet enclosure coolers come with a 5 micron filter with an automatic drain (except for the 316L stainless steel units) for the compressed air supply to insure clean, dry air and an air distribution kit to circulate the cold air inside the enclosure for even cooling. Cabinet enclosure coolers are available with or without thermostat control. When constant cooling and a constant positive purge is required we recommend the continuous operating version without the thermostat and solenoid valve. 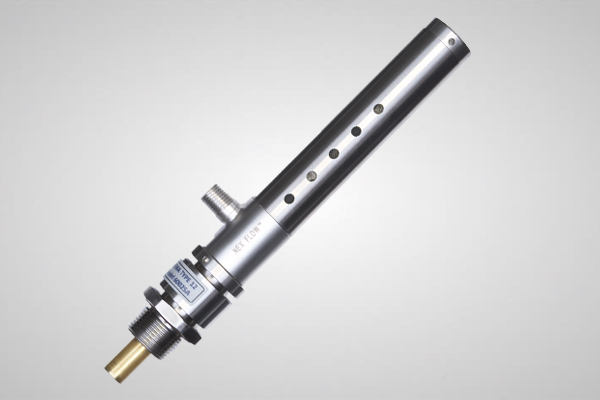 The cooling effect can be controlled by adding a regulator in line to reduce pressure for reduced cooling when it is not required and to conserve energy. Systems utilizing a thermostat and solenoid valve saves air by activating the air conditioner only when the internal temperature reaches a critical level. 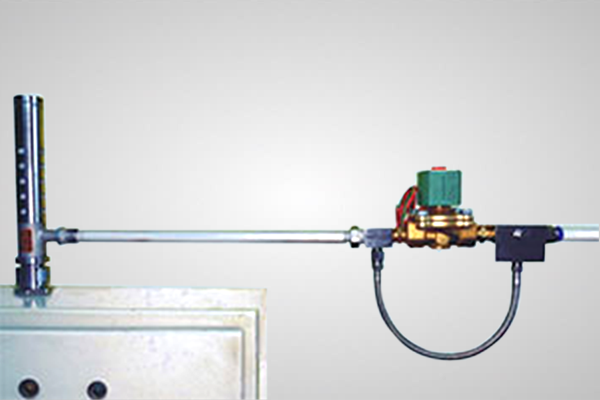 The adjustable thermostat is factory set at 95°F but can be readjusted on site. Thermostat and solenoid valve systems are recommended where the heat load can fluctuate (such as for frequency drives) and where a continual purge is not required. 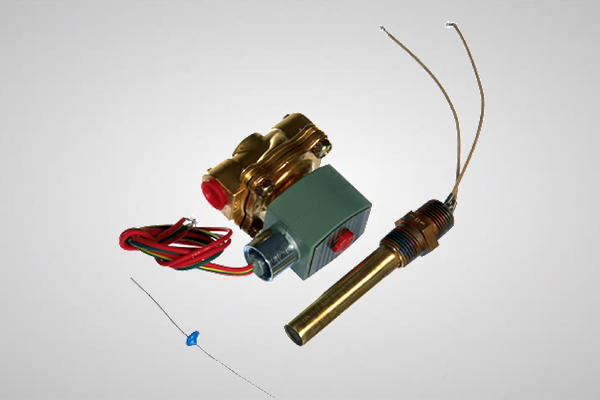 The thermostat and solenoid “package” can also be added at a later date to a continuous system. 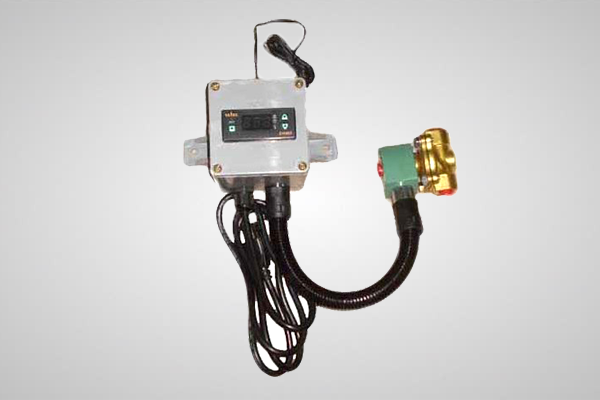 An Electronic Thermostat System is also available replacing the thermostat and solenoid valve with a control box to “set” the temperature (ELC System). If mounting cannot be on the top of the control panel an optional side mount is available (except or the 316L stainless units). Panel Coolers must be mounted vertical either at the top or at the side using the side mount. In very dirty environments, it can be advantageous to have a small amount of compressed air entering the control panel when the panel cooler is not operating (turned off utilizing a solenoid and thermostat package to conserve energy). This is a “constant purge” system that will keep the control panel at a slightly positive pressure all the time to prevent dirty environmental air from entering, thereby keeping the control panel clean. 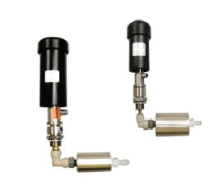 In many environments where the surroundings are very quiet or if personnel are working next to control panels, the Hot End and Cold End Muffing kits can reduce the noise levels an additional 8 dBA depending on air capacity used! Electronic Thermostat ELC (Electronic Control Digital Thermostat) is a way for precise control of one or two Nex Flow™ Frigid-X™ cabinet panel coolers. If mounting cannot be on the top of the control panel an optional Side Mount Kit for Cabinet Panel Coolers is available (except for the 316L stainless units). Enclosure Cooling System must be mounted vertical either at the top or at the side using the side mount. The control panel coolers has two frequency drives totaling 10 horsepower and one module rated at 100 watts. The maximum outside temperature expected is 105°F or 40.5°C. The area of the control panel cooler exposed sides, except for the top is 42 square feet or 3.9 square meters. We want the internal temperature to be 95° or 35°C.